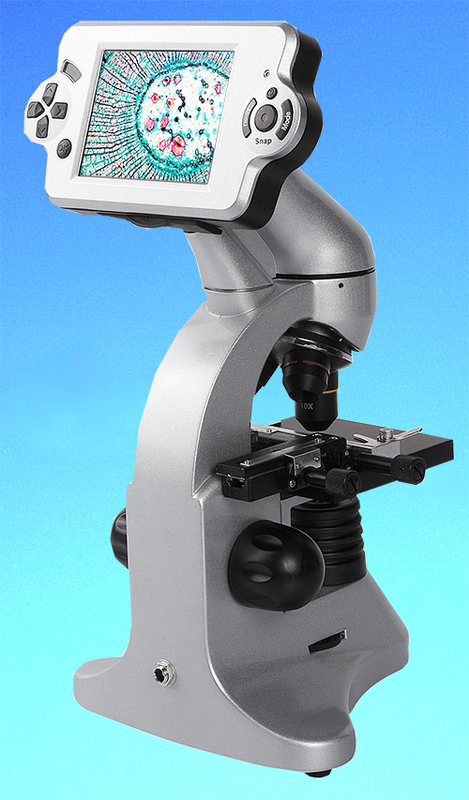 LB-118 LCD Digital Biological Microscope integrates traditional optics and digital technology. A 2.0MP digital camera is built in the head of the microscope, the LCD screen is 3.6 inch. The captured photos and videos can be saved in the SD card. Users can transfer images and videos to PC via USB cable or SD card. A carrying case with tools comes with the microscope. 3.6” TFT LCD screen with 8× digital zooming. SD Card for data storage. Carrying case and tools come with the microscope. LB-118 LCD Digital Biological Microscope can be used for teaching in schools, it also can be used by kids for hobbies.